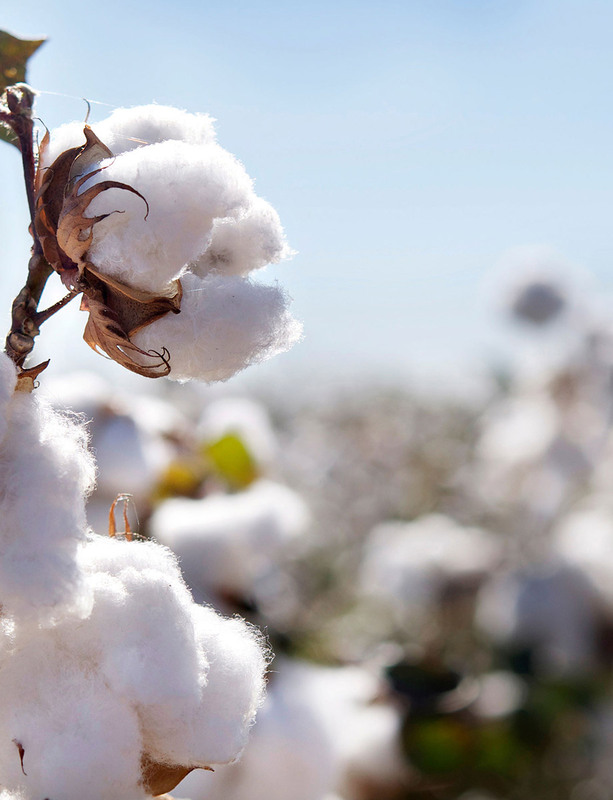 Supreme Green Cotton, from carefully selected and controlled non GMO cotton seeds, is cultivated via sustainable practices in family farms in Greece. It is carefully and separately ginned at the same area where it is grown. The traceable cotton bales leave the ginning mill to reach Varvaressos European Spinning Mills, located only few kilometres away. 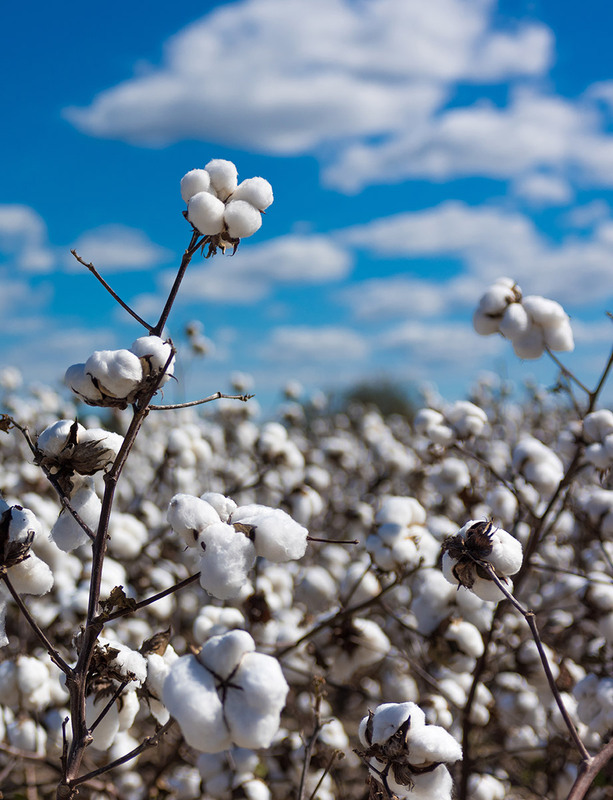 This long staple cotton is then spun exclusively under environmentally-friendly methods resulting to the Supreme Green Cotton Yarn, featuring higher tenacity, lower neps and great overall uniformity. 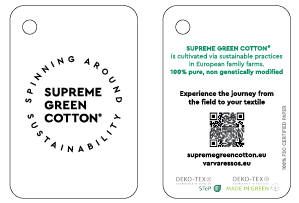 Supreme Green Cotton is sustainable, like our philosophy and our way of living. Starting from the cotton cultivation the watering is strictly performed by a drip irrigation system. The cotton cultivation is monitored by state of the art technological equipment and a selected team of experienced agronomists leading to significant resource savings. During ginning, a part of the energy consumption is covered by renewable sources. By-products as the cotton pie and the cotton oil which are entering the food chain are also non-GMO. The spinning process is environmental friendly using energy from renewable sources and reusing raining water. Energy savings are achieved through installation of harmonic filters, optimization of compressed air system and replacement of fluorescent lamps. 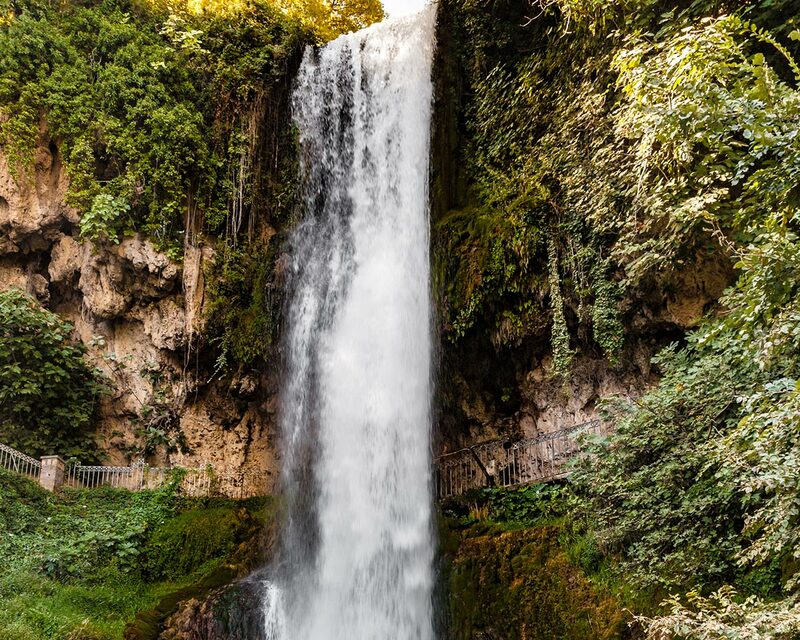 In addition, by using a heating circulation system, cool air is transformed into hot for heating purposes saving approximately 20.000 liters fuel annually. The traceability system allows you to follow the way from the cotton seed to the yarn by scanning the QR-Code on the label or entering the code on our website. The whole supply chain is transparent.